Many devotees are very inquisitive about the appearance of Sri Ekadasi and about her special characteristics. Therefore I am presenting this description from the 14th chapter of the Padma Purana, from the section entitled “Kriya-sagara-sara”. From the above article and story we can understand that Ekadasi is a form of Lord Vishnu, and by observing the Ekadasi vow, it not only decreases the amount of sin (bad karma) we imbibe, but it also eats up sinful reactions to help pave our way back to the abode of Lord Vishnu, Vaikuntha. This is also why Ekadasi is called “The mother of devotion”. It helps remove the obstacles on our path of devotional service to the Lord. Each Ekadasi day has particular benefits and blessings that one can attain by the performance of specific activities done on that day. By engaging in the extra study to learn what these are, one can derive even more benefit from each particular Ekadasi. However, reading the glories of each Ekadasi day, along with all the names of these days, will also achieve a similar goal of observing the Ekadasi vow. This also means that we are encouraged to increase our spiritual activities that day, which are centered around the chanting of the holy names of the Lord. 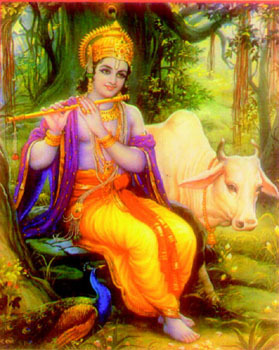 Charity, especially to advanced devotees and preachers of the dharma, or directly engaging in activities of Krishna consciousness, Deity worship, chanting the purusha-sukta hymns, or other spiritual activities on Ekadasi are also highly recommended and brings great spiritual benefits to the performer. It is said that even if one mistakenly misses the observance of an Ekadasi, he or she may make up for it by observing it the very next day on Dvadasi, and then break one’s fast from grain on the next day, Trayodasi. One may also observe the special fast on Nirjala Ekadasi. This is also called Bhima Ekadasi. This is because the Pandava brother known as Bhima was so strong and had such a voracious appetite that he could not observe Ekadasis twice a month. He could not fast because he was too hungry. So Lord Krishna told him to merely observe one Ekadasi a year, which is the Nirjala Ekadasi. Nirjala means no water. So he had to observe at least one Ekadasi a year, and on that day he had to abstain from not only beans and grains, but from all foods, even water. 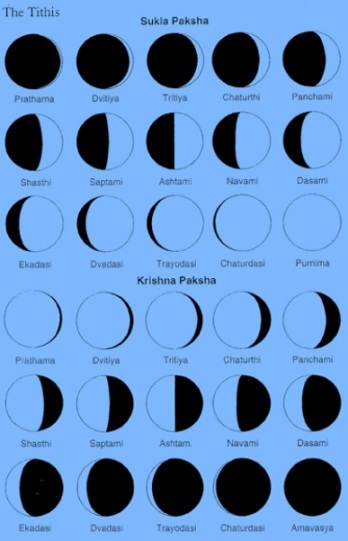 So devotees who miss an Ekadasi day often observe a complete fast from all food and liquids on the Nirjala Ekadasi, which is usually sometime in June, and thus make up for whatever was missed. However, this is a very potent Ekadasi, so a complete fast on this day gives one who observes this many pious credits.